Towers and Trees explores the magnificent architecture between Hermann Square and Discovery Green as well as the changing dynamics of our downtown. 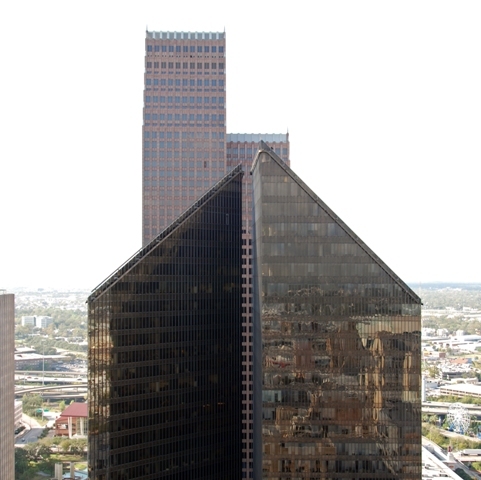 We'll look at the partially realized civic center plan surrounding Hermann Square, the historic backbone of Main Street, the ambitious 1970 proposal that would become Houston Center, the internationally recognized icons from the skyscraper boom of the 70's and 80's, and Discovery Green, the newest catalyst for downtown development in Houston. Meet outside One Shell Plaza at 901 Smith Street on the NE Corner of McKinney and Smith Street across the street from City Hall and the reflecting pool in Hermann Square. Garage and street parking available in the area.